Veering away from my recent spate of terrorism related articles, a new op-ed for the South China Morning Post, a newspaper I have written for before on China-Central Asia with the same co-author, my friend Li Lifan. This uses the recent Russian election as a spring-board for some analysis of China’s relations with Russia and Central Asia. This is a topic I am going to be doing a bunch of writing on in the next few weeks. Unfortunately, however, SCMP operate a firewall, so I cannot simply post this here, though I will ask my editorial contacts. In the meantime, feel free to write if you have any questions. (UPDATE, per SCMP’s approval, I have now reposted it all here). Vladimir Putin’s return to the presidency in Russia was predictably controversial in Europe and America. In Beijing, the official read-out provided by Xinhua highlighted a positive conversation, with President Hu Jintao stating with “confidence that Putin’s new presidential term would see faster progress in building a stronger and richer nation”. That statement affirmed the importance of the Sino-Russian axis as a pole in international relations. Putin, the quintessential Russian chess master, has a very clear sense of where Russia’s future must lie, and needs Beijing onside if he wants to carry this out. The Sino-Russian relationship has had its ups and downs. As Putin put it recently, “there are some sources of friction”. The joint Chinese-Russian veto last month of a UN resolution on Syria attracted attention. But, beyond this, tensions persist as Russia proves implacable in discussions over energy pricing, and tries to develop a “Eurasian Union” to counter China’s successful inroads into Central Asia. The resultant price increase is detrimental to Chinese interests and delays economic integration under the auspices of the Shanghai Co-operation Organisation (SCO). But these contradictions are perfectly adapted for both the Chinese and Russian political system, where shadow chess games are seen as the antidote to erratic Western policy strategies. Rather than make dramatic shifts and pronouncements, both sides forge long-term alliances of convenience, focusing on their mutual interests, where possible, while recognising unresolved tensions remain. This malleable alliance is something that both countries will need in the next few years, as problems over Iran’s nuclear programme come to a head and the US withdraws from Afghanistan, leaving potential chaos in both China and Russia’s backyard. Neither China nor Russia have any interest in seeing the Iranian situation escalate. In Afghanistan, neither is interested in seeing the nation fall back into chaos, but they will be relieved to see a reduced American military footprint in their immediate neighbourhood. Figuring out how to manage the situation post 2014, the deadline for US withdrawal, will probably require a joint effort, which Russia and China have started to explore within the SCO format. The security drills to be held in Tajikistan in June will showcase the grouping’s capacity to address threats regionally and help improve co-ordination ahead of the American withdrawal. Domestically, the abutting regions of Xinjiang and Siberia are their respective nations’ most underdeveloped regions and will require close attention from Beijing and Moscow. Xinjiang is a cauldron of ethnic tensions that China is trying to calm with economic development, while Russia’s east is a largely empty space that gets ever more depopulated as its youth go west to Moscow and Europe. Establishing better prospects and opportunity there will help stabilise the administration of both nations, and better economic co-operation and regional stability are key to long-term development. Of course, underlying this is a competition for resources and markets in Central Asia, with unresolved energy pricing issues and the Russian fear of mass Chinese immigration colouring debates. But these are known tensions, and carefully managing them is something that leaders on both sides recognise as important. The two are each other’s biggest allies in the United Nations Security Council and are members of the new BRICS club. As such, they see a close alignment on international issues. At the same time, regionally, they see elements of peer competition. Striking a balance is the essence of realist international relations. The result is a considered game of chess between a Chinese leadership used to deliberative policymaking and a newly minted Russian leader who has long shown his capacity for an unemotional approach to international relations. A new book review for International Affairs, this time of Dr Fawaz Gerges The Rise and Fall of Al-Qaeda for Oxford University Press. Another short book that reads like a long essay, and has some interesting detail in it. Unfortunately, the review itself is behind a firewall, so you’ll have to reach out to me directly if you want a copy. Should they decide to post it openly like previous ones, I will be sure to add it here. For those with a password, you will be able to find the review here. The rise and fall of Al-Qaeda. By Fawaz A. Gerges. Oxford: Oxford University Press. 2011. 214pp. Index. £15.99. ISBN 978 0 19979 065 4. A new post for CNN on the British connection with al Shabaab. Have been talking to a lot of people about this of late, and am wondering when the story is going to take off. It may be on the cusp of turning into something, but we shall see. For previous bits on the topic, see this for information on one of the clerics I refer to below, this for more on the pipelines of people going back and forth and this and this for bigger views of Shabaab’s internationalization (many of those I now realize are behind firewalls – drop me a note if you want copies, or look through my site using the Shabaab tag to see other non-firewalled bits I have written about the group). Editor’s note: Raffaello Pantucci is an associate fellow at the International Centre for the Study of Radicalisation (ICSR) and the author of the forthcoming “We Love Death As You Love Life: Britain’s Suburban Mujahedeen” (Hurst/Columbia University Press). Friday’s conviction of Shabaaz Hussain, a former British teaching assistant for donating thousands to Al Shabaab is just the latest reason the Somali terrorist group is increasingly a priority for British security services. 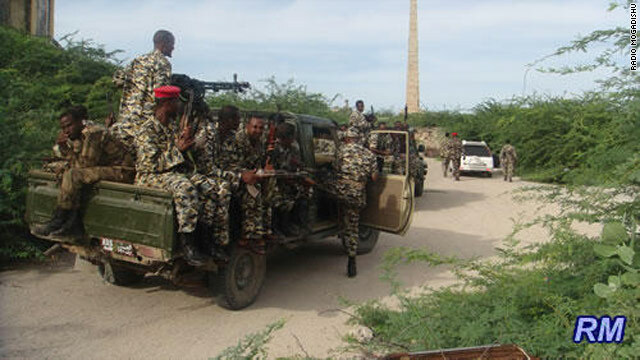 With news stories of somewhere in the region of 50 British passport holders fighting alongside Al Shabaab, British officials are vigilant to the potential for terrorist plots that might emanate from Somalia in the future.The security of the region was in the spotlight last month at an international conference that drew top government officials from around the world. It came on the heels of Al Shabaab’s announcement that it has officially joined the family of organizations under the al Qaeda banner. The UK-Somalia terrorist connection is not a particularly new one. As early as 2005 there was evidence that British citizens were going over to connect with Islamist networks in the country, and that same year, two radicalized Somalis living in the United Kingdom were involved in the failed July 21 bombing attempt on London’s public transportation system. In the wake of the Ethiopian invasion of Somalia in December 2006, there was a surge of young Somali expatriates rallying to the nationalist flag, something that was clearly in evidence in the diaspora community. In 2007 came the first confirmed British suicide bomber in Somalia. But more recently it has become clear that preachers who were formerly based in London have now taken on important roles in Al Shabaab in Somalia. British-sounding voices have started to appear with greater frequency in Al Shabaab videos, and the government prosecuted – albeit unsuccessfully – a pair of Somalis living in Leicester who it was believed were involved in running Al Shabaab’s website. Last month it was revealed that a longstanding jihadist with family in the United Kingdom was killed by a drone strike in Somalia. And another Brit is currently on trial in Kenya on charges of being involved in a plot to carry out bombings in that country. In that case, British security concerns come clearly into focus. Jermaine Grant is a former inmate of Feltham Young Offenders Institution, the same prison that U.S. “shoe bomber” Richard Reid was allegedly radicalized in, and where July 21 attack leader Muktar Said Ibrahim did time. Grant is accused of having connected with Al Shabaab and then being dispatched as part of a cell to carry out attacks in Mombasa. This is not the first time that Al Shabaab has been connected to terrorist plots outside Somalia’s borders. The attack during the World Cup final in Kampala that killed more than 70 was directed by the group, and links have been traced back to the group in connection with disrupted attacks in Australia and Denmark. In September 2009, a cell including at least one Somali-Dane was connected to a plot to carry out an attack in Kenya while U.S. Secretary of State Hilary Clinton was visiting. And throughout all of this, authorities say they continue to see small groups of young British men trying to connect with the organization in Somalia. A pair from Cardiff was turned back last year, officials said, while three Bangladeshi-Brits stopped by Kenyan authorities were allegedly being sent money by Shabaaz Hussain of East London. The evidence indicates it is not a mono-ethnic community of Somalis that is being drawn back, but rather a diverse group that reflects every aspect of the British Muslim community. Preachers and websites from the United Kingdom are providing fundraising and ideological cover, individuals are sneaking over to join the fighting, and suicide bombers and now British citizens are embroiled in plots outside Somalia. It is a repetition of a pattern already seen in Afghanistan that culminated in the London bomb attacks of July 7, 2005. The clear concern is that a similar trend is playing out in connection with Somalia, involving a group that has now been welcomed into the al Qaeda fold and therefore sees the world, and not simply Somalia, as its battlefield. The difference is that, hopefully, the lesson has been learned from Afghanistan, and the West is unlikely to leap into large-scale military action. The fact that the connection is on people’s radars and the group has so far restricted itself somewhat in what it has done abroad is a positive sign, but recently the group seems to have stepped up its external operations and stories of recruitment and foreign fighters are becoming more frequent. The recent London conference on Somalia highlights the United Kingdom’s key role in rebuilding that country – exactly the opposite of what Al Shabaab wants – but Britain’s problem is that it has also played a key role on the supply side for the terrorist network’s development. That took place during a time when Britain was investing untold millions of pounds into counter-radicalization programs. The lesson appears to be clear: the West has still not figured out domestic counter-radicalization and the British-Somali connection is one that needs to be watched very carefully. Large-scale invasion of Somalia would be counterproductive in terms of reducing the threat to the United Kingdom, as it would only anger the group in Somalia more, as well as feed the underlying narrative that the West is at war with Islam. But, in any case, Al Shabaab’s connection with al Qaeda now means the United Kingdom is seen as an active target.